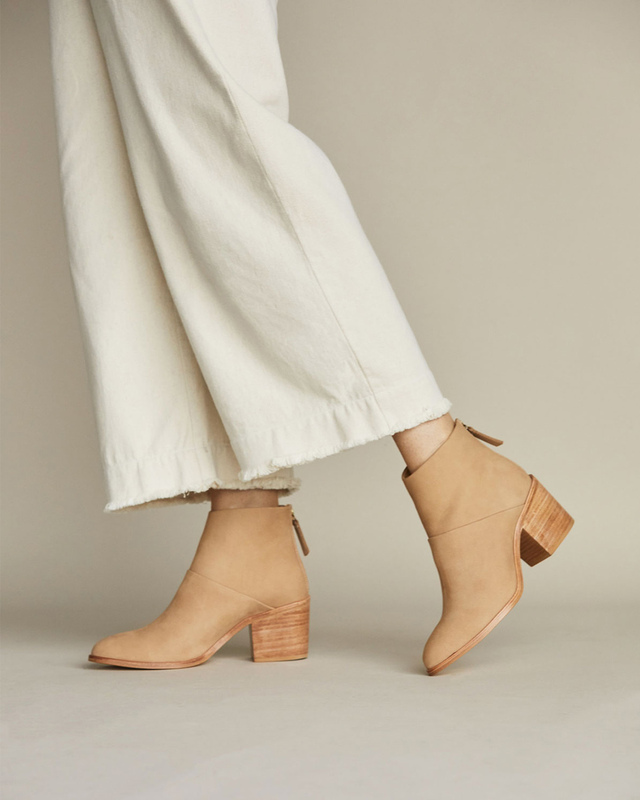 Introducing our first high heel boot. We set out to create a seasoned boot comfortable enough to wear all day and elegant enough to wear all night. Made in partnership with an ethical factory in León, Mexico, the Dari Boot comes in classic black and a beautiful nubuck wheat color. True to size. 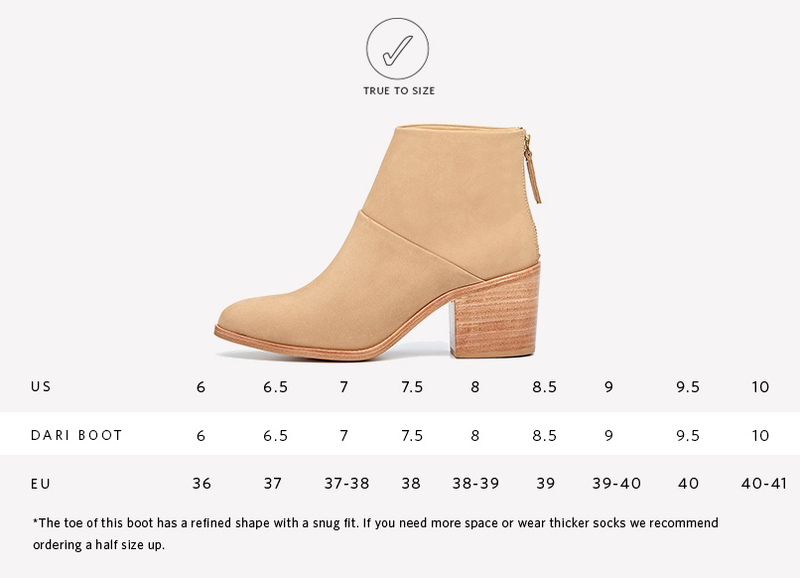 The toe of this boot has a refined shape with a snug fit. If you have a wide foot or wear thicker socks with your boots, we recommend ordering a half size up.